If all work vans were like this one, there would be a lot of blue collar type workers turned professional race car drivers. While it might appear to be a regular old work van, there’s actually a few tricks up the sleeve of this 1989 Ford Transit Van that will completely change your opinion of it. Believe it or not, I might even go as far as to say that you’ll wish it was yours. That’s what happens when you hear the words “twin-turbo V6” and “XJ220” in the same sentence. Your moto radar goes off and suddenly this van becomes a lot more interesting. Powering this workhorse is the very same twin turbo V-6 that was used in the Jaguar supercar, the XJ220. Tom Walkinshaw Racing played a major part in the development of the XJ220. 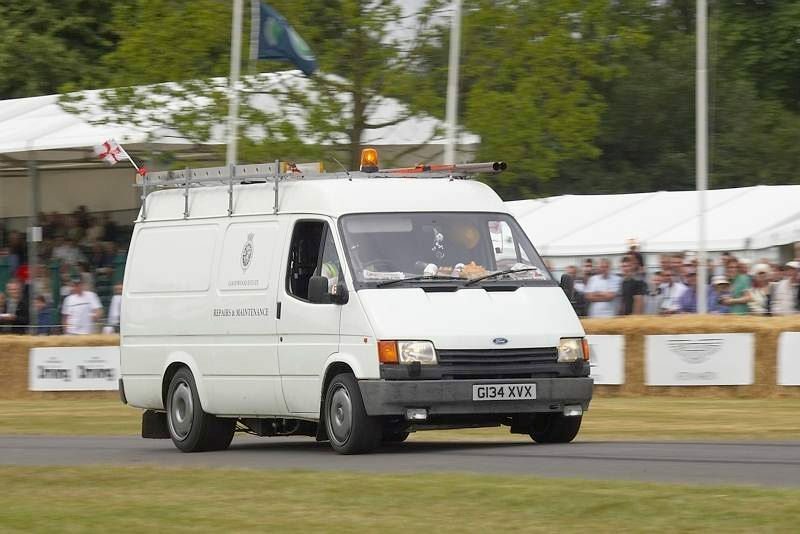 When it came time to testing the engine, they decided to use this Ford Transit Van as the vessel for the motor rather than testing it in an expensive supercar chassis. At the time, the V6 was producing approximately 542hp and the only other changes made to the van was a 5-speed manual transmission. Somewhere along the way, the Van was shelved and placed in a warehouse where it seemed it would stay until its untimely death. Luckily though, it was purchased and resurrected by the XJ220 specialists at Don Law Racing (DLR). Having been involved with everything XJ220, including both sales and racing, they were the perfect candidates to bring this piece of automotive history back to life. The first thing they did upon receiving the van was re-tune the V-6 to produce 640hp. They also upgraded the transmission to accommodate the extra power. Then they upgraded the brakes and some of the suspension components to handle the weight of the van when it’s being thrown around at local track day events. There was no way that monster motor was going to fit in the stock engine bay. So instead it was moved to the back of the van, but still leaving room in the cargo area if you had the desire to do some actual work with it. 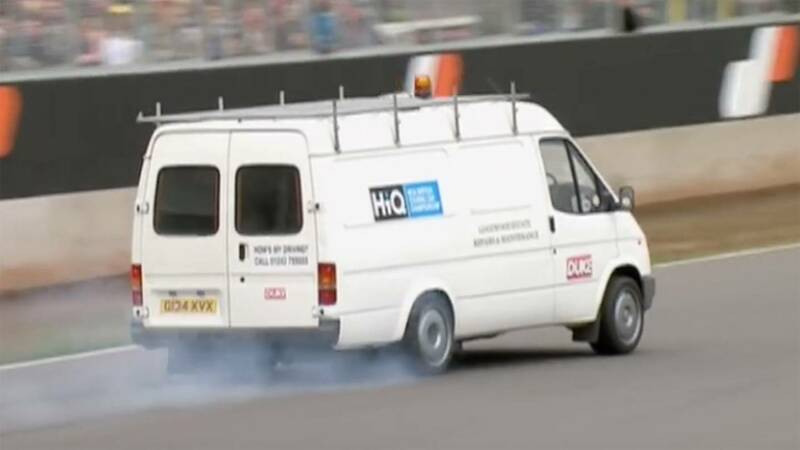 According to representatives of Don Law Racing, the van is capable of blasting off 0-60 times just under 5 seconds and has a top speed of 170+mph. I have to imagine it would be pretty damn sketchy to be going that fast in a big old van like that, but it sure would be fun. 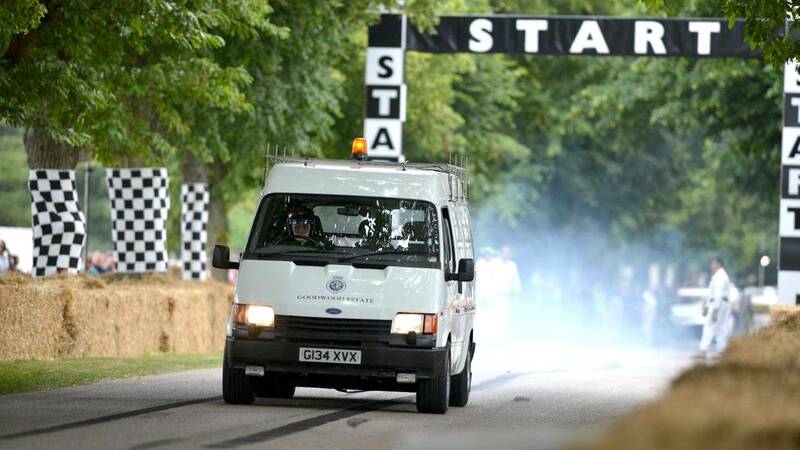 And if nothing else, it looks way more badass than any other van when it’s power-sliding through a corner. Plus it’s good to see a piece of automotive history back in action.